Troy Terakedis counsels clients on federal income tax matters and in the structuring and formation of venture capital, leveraged buyout and other private equity funds, as well as other business entities. He also advises on partnership, limited liability company and general corporate law. In addition, Troy works with closely-held businesses, their owners, and other high-net worth individuals and executives, advising them on federal income tax, corporate succession, estate and gift tax and asset protection planning. Because of his expertise in tax, estate planning and general corporate work, Troy is able to counsel clients in both their personal and business matters. 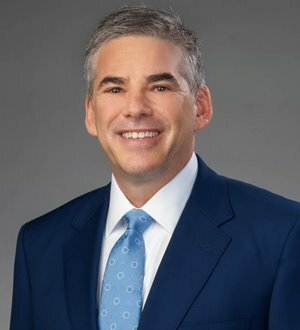 Active in the American, Ohio and Columbus Bar Associations, Troy participates in the Columbus Bar Association Business Tax Committee, of which he was the co-chair, and Estate and Gift Tax Committee, as well as the American Bar Association Taxation Committee and Columbus Estate Planning Council. Co-author of “Incentive Stock Options -- Highlights of the Final Regulations” (BNA Executive Compensation Library, 2004), he is an active lecturer in the areas of federal income taxation matters and estate and succession planning. Troy has been recognized as one of Columbus Business First’s “40 Under 40” (2009), an Ohio Super Lawyers “Rising Star” from 2005 - 2007, one of The Best Lawyers in America in the area of Estate Planning (2009) and a “Top Lawyer” by Columbus CEO Magazine (2009). Troy also devotes a substantial amount of time to the Kiwanis Club of Columbus as well as to pro bono work for the firm.